The Scarlet Fire dogwood tree is available for sale through mail order from nurseries. 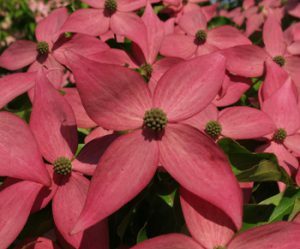 Rutgers researchers have developed a hardy, pink dogwood tree that promises to add vibrant color to the landscape in New Jersey and beyond. The new dogwood, called Scarlet Fire®, is the answer to a riddle that has eluded plant biologists for decades. 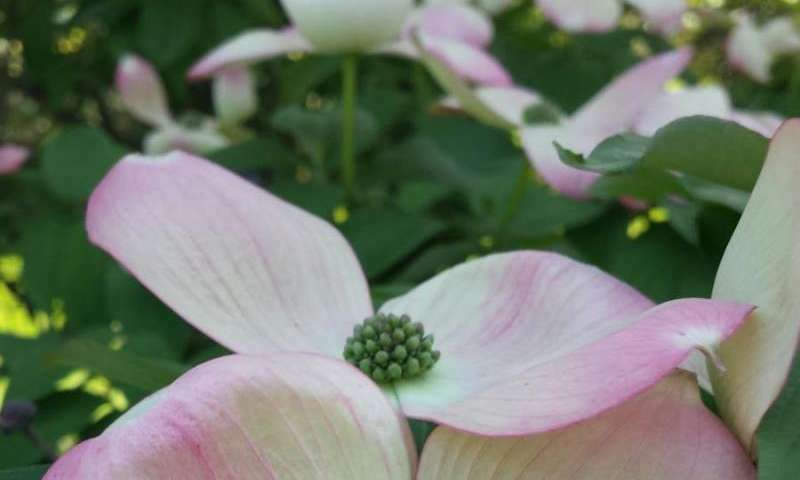 It achieves the brilliant color associated with the native Cornus florida species that has been plagued by blight in the hardier Cornus kousa – an Asian species that is resistant to most diseases but lacked some of the color that made the native species so attractive. Garden lovers and horticulturalists now have two new species names to add to their vocabulary and memory. The world’s most commercially-successful dogwood garden trees have finally received proper scientific names decades after their introduction into horticulture. The big-bracted, or flowering, dogwoods are beloved trees with cloud-like branches blossoming in early spring in white, sometimes red or pink. The new scientific names are published by a team of American scientists.